Why paddle with Sweetwater Kayaks? Trained and Experienced Staff: Our first priority is your safety, followed by fun! Each Sweetwater Kayaks’ tour is led by a trained kayak guide who will often be dual certified as an instructor. Most of our staff is comprised of guides who have paddled all over the country, and even the world. This means you are getting the best care possible while on the water! Guide to paddler ratios: We understand the importance of small groups. 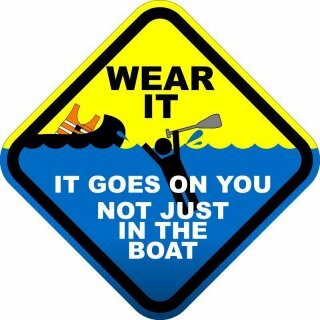 They mean more individualized attention and a safer experience on the water. We don’t sacrifice safety to make a profit. Equipment: At Sweetwater we offer a variety of options for getting on the water. If you want to kayak, canoe, or paddleboard, we have something for you! Wildlife: Saint Petersburg and the surrounding area is perfect for seeing Florida’s amazing wildlife. From manatees, dolphins, and alligators, to an amazing variety of birds, we love educating our guests about what they are seeing while on the water. Tours may be scheduled upon request in advance. Please give us a call at the shop to get more information or reserve your trip 727-570-4844. A list of scheduled trips /classes is available on our Facebook. All trips run weather permitting. Half Day Tours – $80 per person. Minimum sign up to run the trip is 2 people. Full Day Tours- $80 per person. Minimum sign up to run the trip is 2 people. We do give discounts if you want to paddle your own kayak, but the guide reserves the right to put you in one of our boats if your personal kayak is determined to be unsafe or not appropriate for the trip. The discount is $5 off a half day tour and $10 off a full day. 10% discount for groups of 5 or more. Half day tours usually take 3 to 4 hours and can begin in the morning or the afternoon. If you want to experience mangrove tunnels, then this is the tour for you! Weedon Island Preserve consists of 3,700 acres of protected land and waters along the northwest shore of Old Tampa Bay. This peaceful area provides ample opportunities for viewing wildlife such as dolphins, occasional manatees, and an abundance of birds. While you can rent one of our kayaks and do the trail yourself, you can learn about the area and wildlife if you paddle it with a guide. *Times for this tour are highly tide dependent. When you call the shop to schedule a custom tour, we can help you determine the best time for a tour in this area. Weedon Island Preserve is known for its south paddling trail which winds through the mangroves. However, have you ever looked across the channel to the other side and wondered “what’s over there?” Here is your chance to come explore the natural trails and back waters across the channel from Weedon Island Preserve. We’ll leave from the rental operation at 10:00 for a short half-day trip. Paddle with us to Shell Key, a preserve that is one of the most important areas in the state for shorebird nesting and wintering. Shell Key also provides a nesting site for sea turtles and a habitat for numerous other types of wildlife. This scenic gulf island is a great spot for shell hunting, bird watching, and relaxing on the beach. This trip combines paddling along a beautiful beach shoreline as well as paddling among the mangroves. Most people never get a view of the beautiful Saint Pete skyline from the water at night, but with this tour you can do just that! We put our kayaks in at a local park around sunset and paddle along the coast while the sun is setting. We usually reach downtown as the moon rises, just in time to enjoy the city lights at night. This is a great way to get a new perspective of the city! *Times will be determined by sunset times. Paddle around the calm, quiet mangroves by the light of the full moon! Night is the most peaceful time to be on the water and a fantastic way to enjoy the moonlight. If you often paddle by day and want to try something new, this is a great chance to try getting on the water at night! This tour usually begins as the sun is setting so the moonrise can be enjoyed from the water. *Times will be determined by sunset and moonrise times. Fishing from a kayak gives you a unique advantage over other fishermen who use motors to get around. The quiet glide of the kayak allows you to get up closer to the fish without startling them. Our local guide Tim Grimes @sweetwaterkayaks offers Tampa Bay area kayak fishing trips. Full Day Tours. The Weeki Wachee is truly a unique paddling experience! This spring-fed river has a white sandy bottom that enhances the blue color of its water. The Weeki Wachee’s temperature remains a constant 72 degrees year round which makes it the perfect place to cool off in the summer, and enjoy in the winter! The consistent temperature also provides a haven for manatees when water temperatures drop elsewhere. This tour is great in a kayak, and a blast with the added perspective of standing up on a paddleboard. Bring a lunch to enjoy by the riverside halfway through the tour! Wetland creatures are abundant in Myakka River State Park. This diverse ecosystem is home to a number of types of birds and a very sizable population of alligators, which provide abundant opportunities to bring some great photos home with you at the end of your adventure. While paddling the Myakka river can be leisurely, the proximity to the park’s alligator population promises an exciting experience! If we have enough time, there may be an opportunity for short hike to an observation tower for a different perspective of the park!